Live: 25 October 1959 - Royal Festival Hall / 4 November 1959 - BBC Home Service concert. 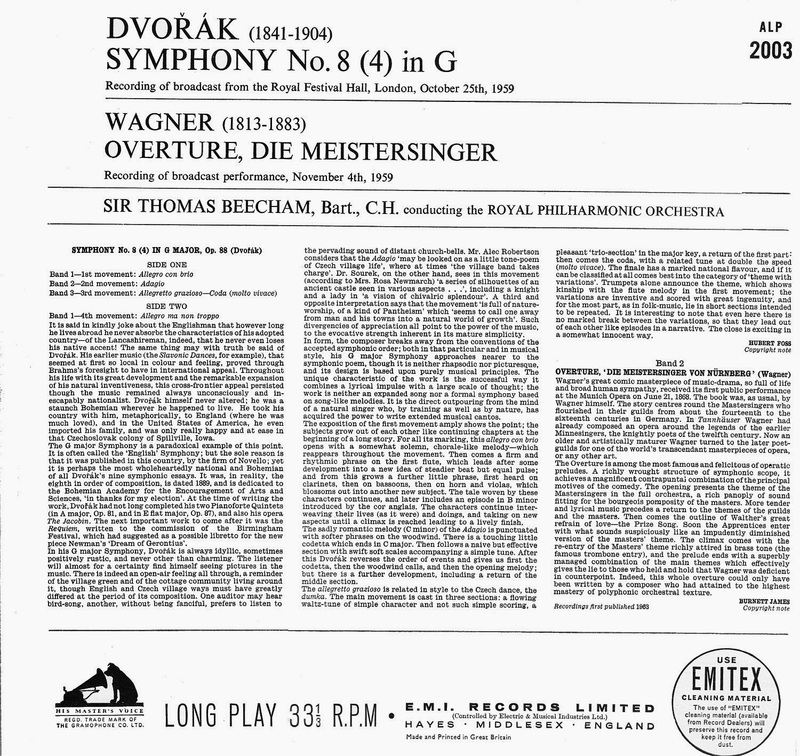 I was going to upload the 24/96 file of the Wagner (also retain the Dvorak) as a comparison for the 24/48 - but I thought the chances of anyone indicating that they could hear an improvement would be NIL..and these aren't the best recordings to discern a difference (file size is halved with 24/48) - but I thought the 24/96 was 'freer'. Some 30 years ago, this would've been amongst the most valuable LP's. In the London 'Gramex' the price tag on the equally short-lived 'Concert Classics' 1960's reissue was £50..but then came along, emerging from the paddy-fields, another type of 'collector'..who've elevated some pretty common violin/cello LP's to £1000, or more. Attenborough went into a care home..his stuff was sold-off in London - but the LP's (which he got as freebies, from EMI....almost all had 'Factory Sample' stickers) were auctioned in Rugby..probably going for pennies/LP..some sold on eBay for £300. I had a deep vein thrombosis on a cramped 3hour flight. I have not had another: medical advice was take 1 baby aspirin daily with or without warfarin (different mechanisms of action), and wear pressure stockings when likely to be immobile for hours on end, as in car or plane travel- or in disc transcription. If you had DVT you'd know it: in my case a severe limp and pain in one leg. Fortunately the clot did not travel. Apparently, my Basilar Artery is 'relatively narrow' - so combined with naturally high BP this seems quite possible. ...but won't make the 'same mistake' again - as now realize that I'm not 'indestructible'.. 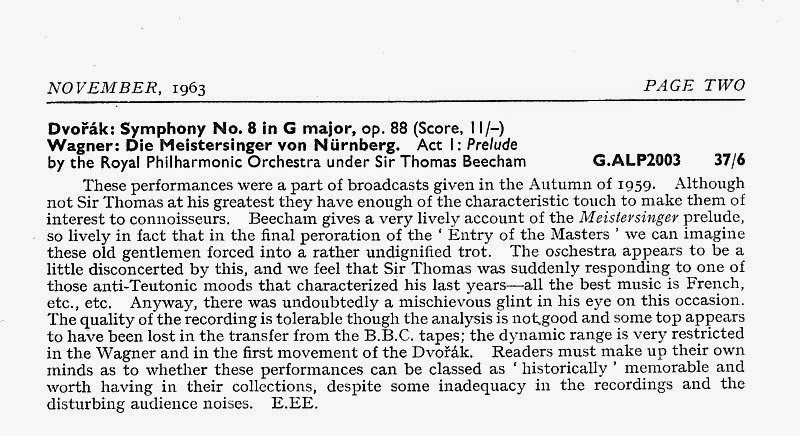 The 1963 EMG appraisal is however broadly accurate: heard via proper equipment it has diminished transparency compared to his EMI commercial recordings; but there's still a sense of 'being there' (the powerful tympani in the Dvorak are very similar to the ALP of Sibelius 2 from 1954) - however the 1982 Fonit-Cetra Italian LP's of the 1959 Berlioz Requiem are superior. 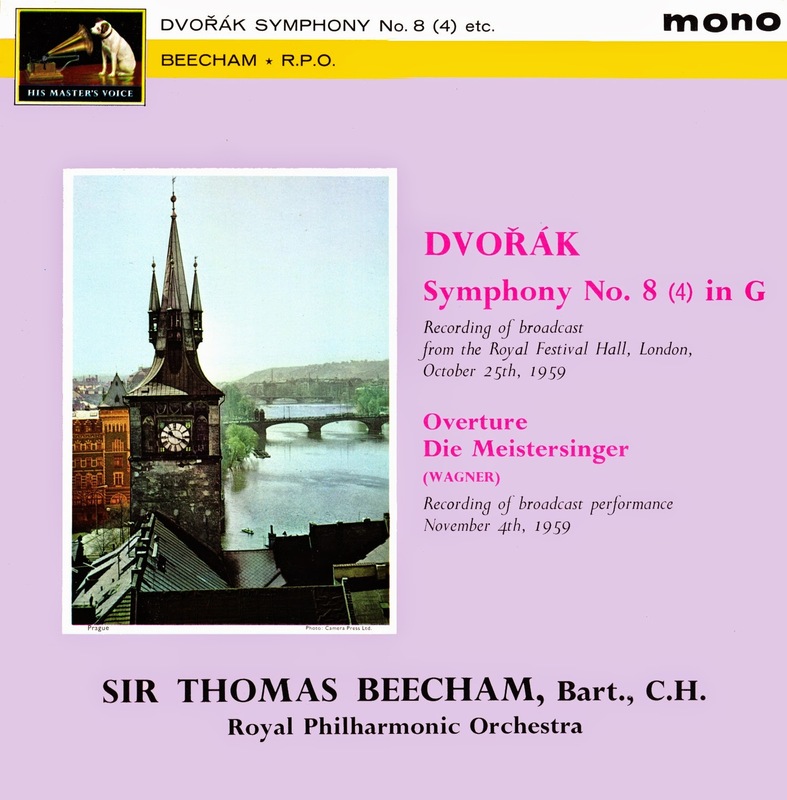 Beecham's way with Dvorak is not really to my taste - mostly gentle- with a whipped-up finale - very similar to the 'Symphonic Variations' from 1954.. He's better in Tchaikovsky (the original 1954 Philips LP of the 2nd Symphony sounds very fine), IMO. Congratulations on what seems to be a fine recovery: I hope that things continue to go well with you!